Y.O. Ranch Steakhouse is a fine dining restaurant with deep roots in ranching that date back more than 125 years. Every aspect of the Y.O. 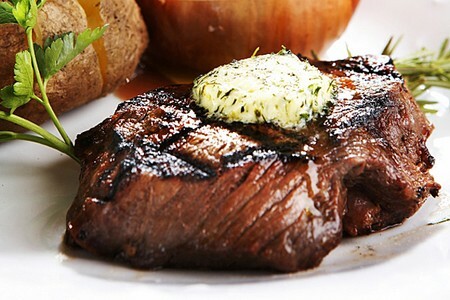 dining experience reflects a profound appreciation for the history behind the food – the meticulous preparation of the steaks involves the same techniques used by old ranch hands, and consists of the meat being seasoned, charred, then seared to hold in the juices. An intriguing wild game menu includes the signature Buffalo Filet Mignon, which was featured on the Food Network as “one of the best steaks in the nation.” Embrace the charm of dining beneath antler chandeliers while being surrounded by antique photos of a family eager to serve you. | All Day noon - 11 p.m. The food was good. I had swordfish in a teriyaki sauce a bit too sweet for my taste, but edible. The room was a bit on the warm side. When I asked the server to adjust the temperature, he stated, "It feels fine to me!" However he wasn't the paying customer. (lol) Other than that it was fine. Oh, parking lot debit wasn't working and we were afraid our cars might be towed while eating..... hard to enjoy your meal thinking you maybe walking home afterwards.